↑ Langshaw, Mark. 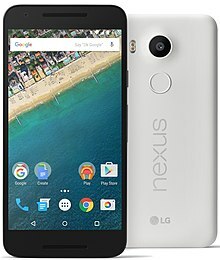 "Google's Nexus 5X smartphone has an official release date". Digital Spy. สืบค้นเมื่อ October 13, 2015. ↑ Farooqui, Adnan. "Google Confirms September 29th Event For New Nexus Handsets". ubergizmo. สืบค้นเมื่อ 21 December 2015. ↑ What are your favorite Nexus 5X and 6P chassis colors? หน้านี้แก้ไขล่าสุดเมื่อวันที่ 27 ธันวาคม 2559 เวลา 02:41 น.